You’ve probably heard of the old saying, “always a bridesmaid, never a bride.” We’re starting to get the feeling that fans of Barry Burton might be wondering when its his turn to return to the spotlight. 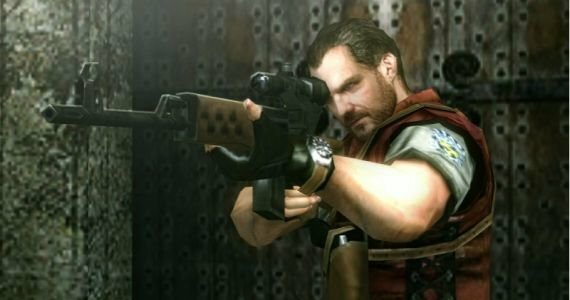 Rumours are swirling around the Internet that Barry Burton might show up in DLC aimed for Resident Evil Revelations. Gamingtruth has reported that in the latest issue of Nintendo Power, producer Masachika Kawata had the following to say. He’s definitely a possibility if we do create any DLC for the game. It’s a little on the vague side. Anything is ‘possible’ but are they going to do it? Probably not, considering that we reported back in January that Revelations isn’t equipped to handle DLC. Chris Svensson stated that the game just wasn’t built that way. Or written that way. A little disappointing, even more so for fans of the former STARS team member. It brings another situation to light, probably one that you’ve read us gripe about before. The Resident Evil universe is full of characters. In fact, each new game released brings with it a host of new characters. For instance, Resident Evil: Operation Raccoon City introduced Umbrella’s Wolf Pack, Revelations introduced a whole slew of new comrades, Resident Evil 5 let us get to know the B.S.A.A. West African division. Granted in the latest installments of the series, you never really got to find out a whole lot about these characters. We’re probably better off not knowing, because they’re one-shot supplementary characters. 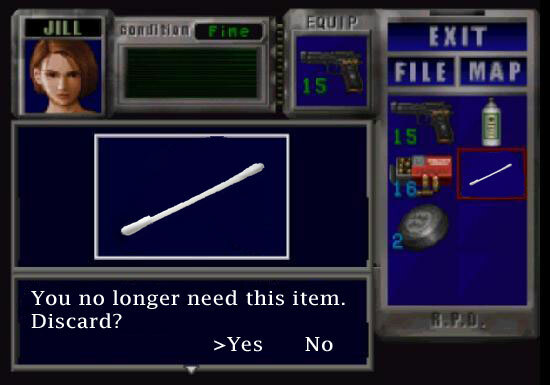 The Resident Evil series uses supplementary characters like they’re Q-tips. Use em once and give em a toss – maybe twice if you’re desperate. The only recurring protagonists are Chris, Jill, Leon and Claire. These are obviously the most popular protagonists, but there are still a lot of popular characters out there that fans would love to see return to the limelight. Not just as an unlockable character for Mercenaries, but starring in their own full-fledged game, or even missions. Resident Evil 6 looks to resurrect some old pals, but right now it’s all speculation. Who would you like to see make a grand return to centre stage in a future Resident Evil game? Let us know in the comments section or on our Facebook page!